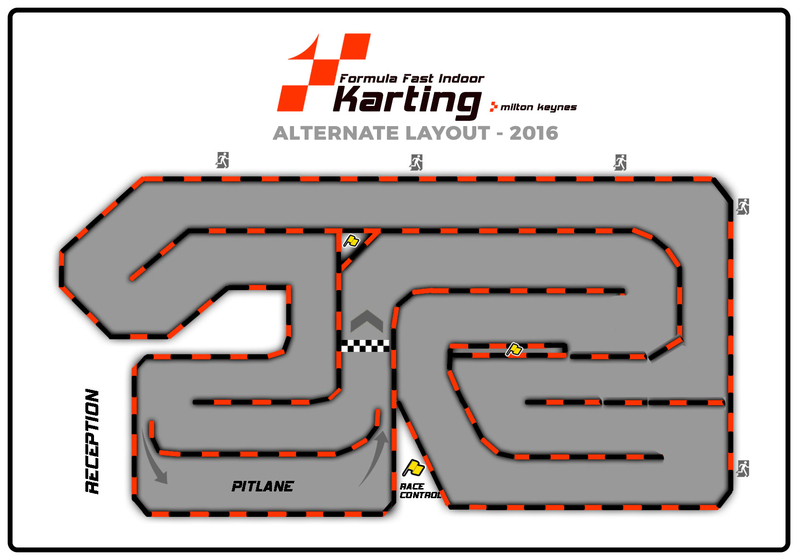 Formula Fast are excited to announce that a brand new ‘Alternate’ layout has been confirmed for BRKC 2016, following successful advance testing at Milton Keynes this week. You’ll get a chance to drive it first-hand during BRKC Friday Practice in January, but the circuit is already an immediate hit with our team, presenting new overtaking opportunities with a technically challenging sequence of corners leading onto the main straight. The new layout will replace last year’s Alternate circuit. The Alternate layout will be used for two out of the four qualifying heats, making it an integral part of the BRKC format. Introduced for the first time in the 2015 Championship, the Alternate track configuration is designed to give drivers a fresh challenge, as well as leveling the playing field for those who haven’t had as many miles on the standard circuit. The Alternate circuit will not be available to drivers in any non-BRKC events, although drivers do have their first chance to see the new track this Sunday evening during the only BRKC dedicated practice before the main event. Those who can’t make it to this month’s session will be given priority for any spare slots on the Alternate layout during BRKC Friday practice. There are still spaces available – give yourself the edge on the grid for 2016 and call the circuit on 01908 904111 now to book your space.